Let us just take a moment to consider what actually makes a very good whisky. Never mind the labels, the little story you’ve been sold (as that kind of thinking reduces this industry down to the level of perfume advertising). What actually matters? Good inputs, sure. Good barley. Long fermentation times. Slow distillation. Taking the spirit cut (when to go from all the questionable elements to the delightful components of the spirit) at the right time for flavour rather than economics. And of course, putting all of this into quality wood that’s being used to store whisky for the first time. The point is that when you do things properly, you actually don’t need it to have spent too long maturing in good casks before it’s ready to be consumed. So Chichibu distillery generally doesn’t have to have long maturation periods to provide something that’s outrageously tasty. The potted history of Chichibu for those unfamiliar with it largely lies with one man Ichiro Akuto. Ichiro’s family made their name at the Hanyu distillery. There, in 2000, after getting into financial difficulties during Japan’s lost decade, his father sold the family business. 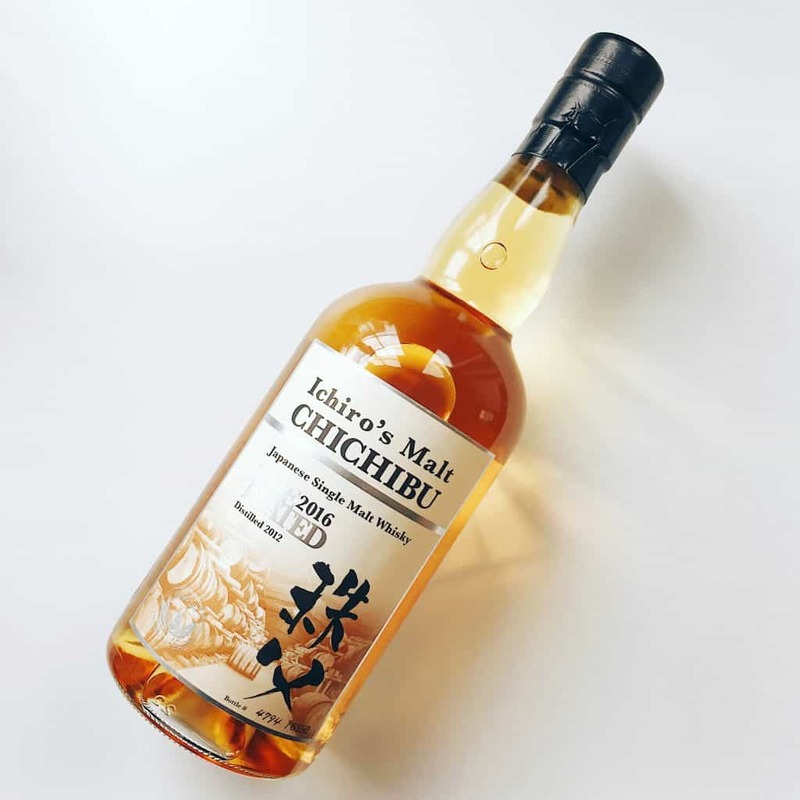 Ichiro bought up a load of stock from Hanyu, started belting out incredible bottlings (including the famous card series) and then eventually set up Chichibu distillery under the Venture whisky company, located in the prefecture of Saitama, Japan. Chichibu started distilling in 2008. So its whiskies are still quite young, but that doesn’t matter. In fact, very recently I tried some outrageously young whiskies from them, Matsuri 2017 Fino Hogshead and an Imperial Stout Barrel matured dram. The latter was just three years old. And guess what? Tasty. No buggering about with wood to try and salvage something resembling flavour, no tipping into cask after cask to rescue the spirit. It’s good to go after three years. 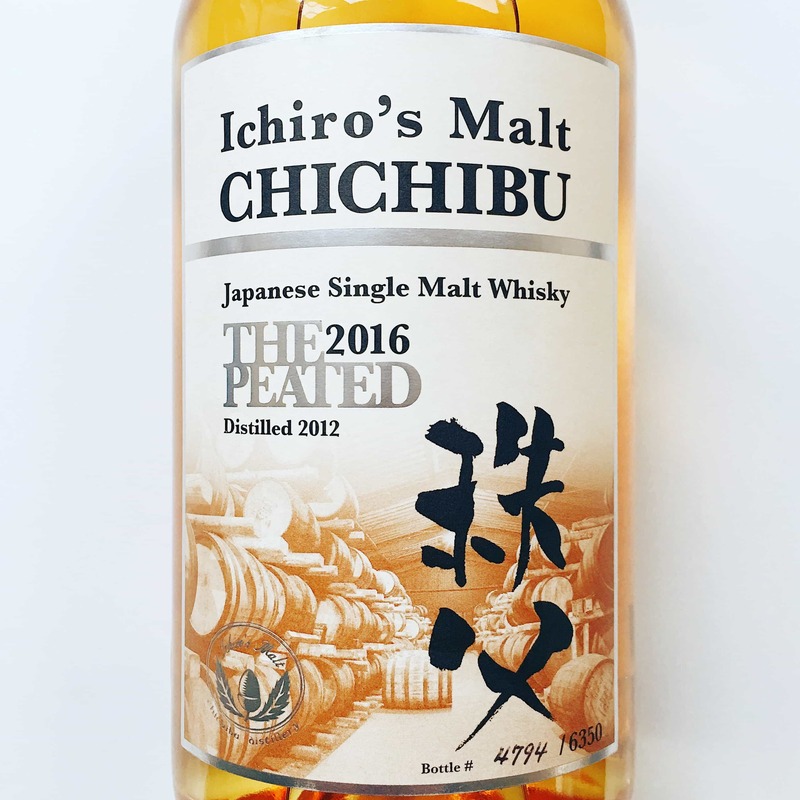 So when the 2016 Chichibu The Peated finally made its way over to the UK, I had to buy a bottle, despite it being another young whippersnapper of a whisky. On the nose: The peat drifts towards the sweet and medicinal, iodine and carbolic end of things. And it’s got a hint of some sweet old Ardbegs about it. Citrus, and surprisingly coastal, then with some smoked haddock notes. Once this peaty heft fades, there’s a lovely honeyed sweetness, with baked apples and dried apricots. Specks of vanilla, becoming more noticeable with time. Salted caramel chocolate. In the mouth: oof, that spirit is such high quality. Gorgeously viscous, with the peat being a shade more subtle, but still with real presence. Lapsang souchong, with nutmeg. Heather honey. Vanilla is present, though not as obvious. Lime marmalade. Chilli peppers. Baked pears. Creme caramel. Ginger and golden syrup. Very warming towards the finish, which just goes on and on, and comes full of cloves and nutmeg. A lot of bad whiskies get dismissed by some as merely “oh, your tastes are different than mine”, but to me many of them are technically unimpressive: either the spirit was poor (the spirit cut taken at a more economical time), the casks were fourth-fill, or a combination of both. At four years of age, the whisky is of a much better quality than most Scotch whiskies I’ve tried at three, four times its age this year. The important thing here is not the age, not the price, nothing like that: but the integrity of the spirit. With time, this distillery will produce some even more phenomenal whiskies. Without time, this reminds us of what’s lacking elsewhere. Frustrating only because we can’t get access to older stocks here, where the spirit will have grown even more complex.